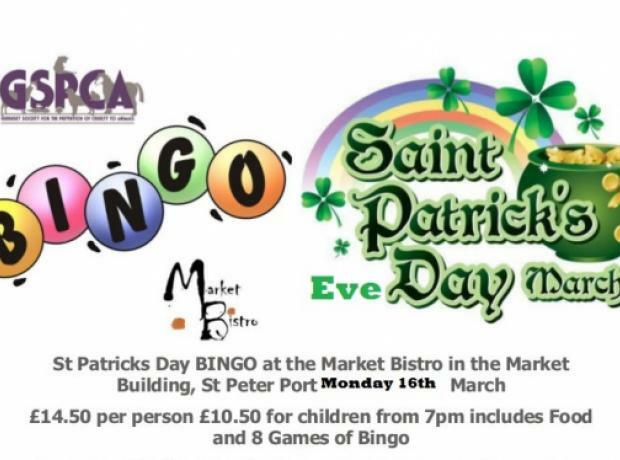 It's moved from Tuesday to Monday, but why not join us on Monday the 16th March for a Saint Patrick's Day themed bingo evening raising funds to help animals in Guernsey. Each month the GSPCA organise a bingo evening at the Market Bistro to help raise much needed funds for the many animals in our care. The last bingo evening had a GSPCA Alice in Wonderland Birthday Purple Week theme to celebrate the 142nd anniversary of the GSPCA. Why not join us on Monday the 16th March for a Saint Patrick's Day themed bingo evening raising funds to help animals in Guernsey.